Industrial Vending Systems deliver point of use solutions for the storage, vending and management of PPE, consumables, tools and equipment. Established in Perth in 2010 IVS have built a strong client base within the mining, construction and industrial sectors, moving more recently into medical services and logistics with the expansion of our product lines. Click here for more on our products. The key to our success is through the reliability of our robust machines, the development of our intuitive online management systems and our personalised service in delivering the best solutions for our clients. Our clients have consistently reported an increase in compliance, reduced wastage, greater workplace efficiencies and improved productivity. 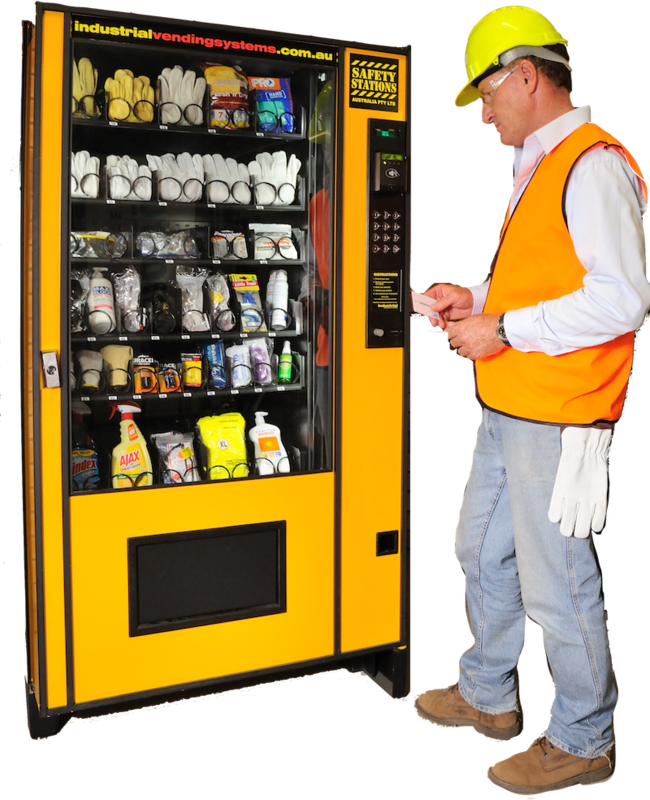 Industrial Vending Systems have an impressive client retention rate of over 95% with the majority carrying one or more machines at several sites across Australia and overseas. Our products are extremely flexible with a variety of styles and setups that will be tailored to suit your site specific needs. We currently offer spiral vending, storage and return lockers and weight-based high density drawers and cabinets. Product lines can also be setup with sensors that automatically monitor stock levels to ensure there are no stock-out situations. Enquire now to set up a trial for your site or workplace.